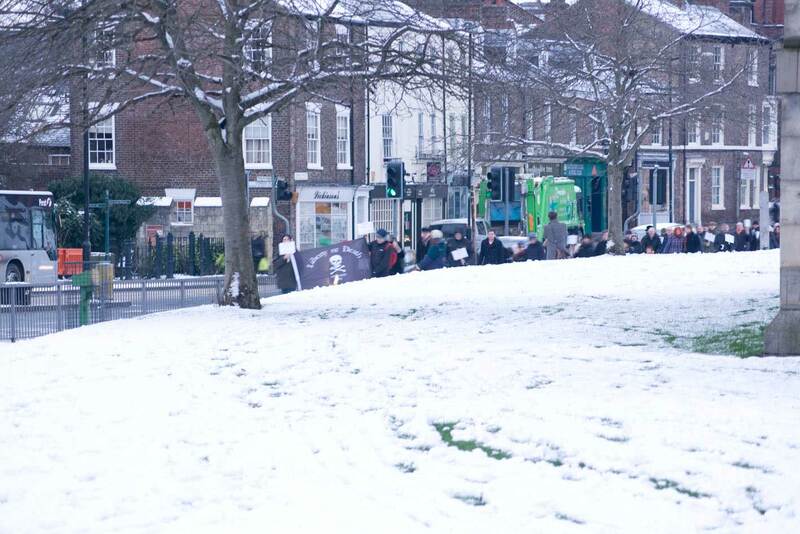 On 19 January 2013, at 3.45pm, a procession set off from the Guildhall and St Helen’s Square, York, along Coney Street to York Castle. 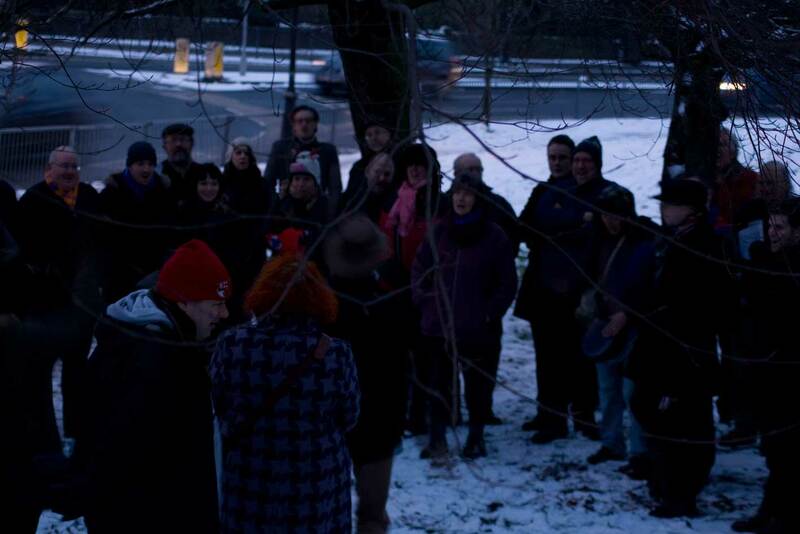 At the site where 17 Luddites were executed on 8 and 16 January 1813, a short memorial action was carried out. 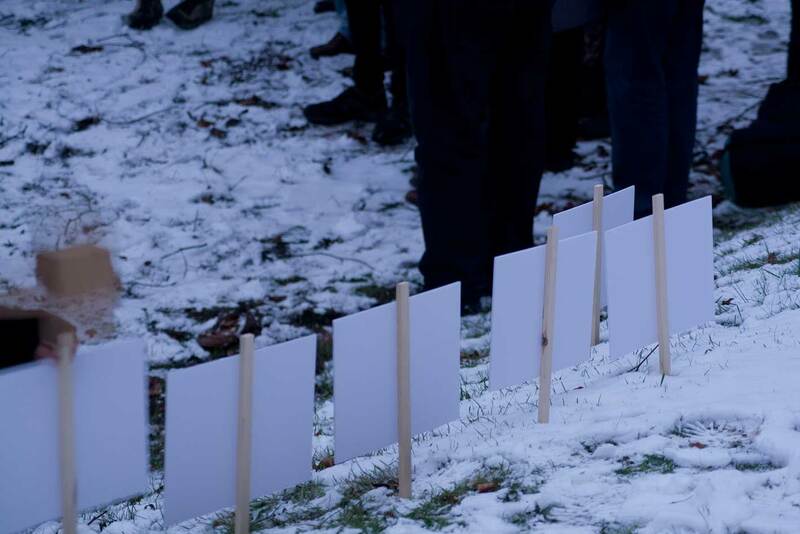 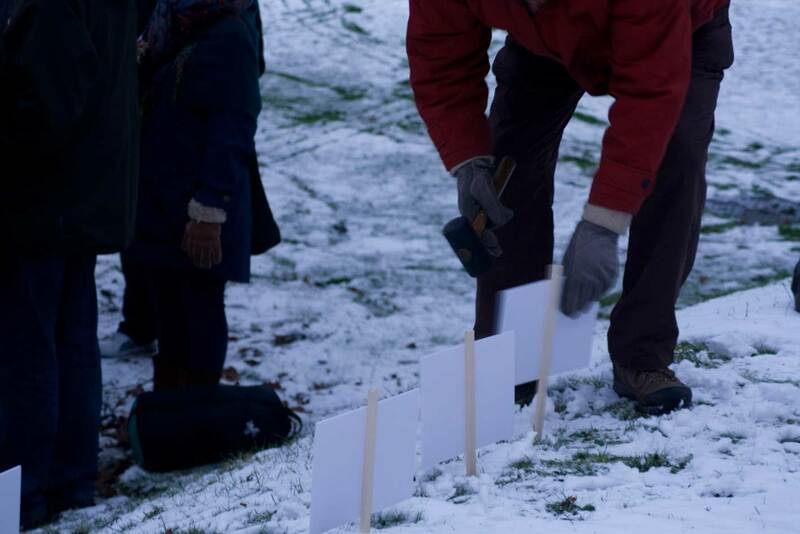 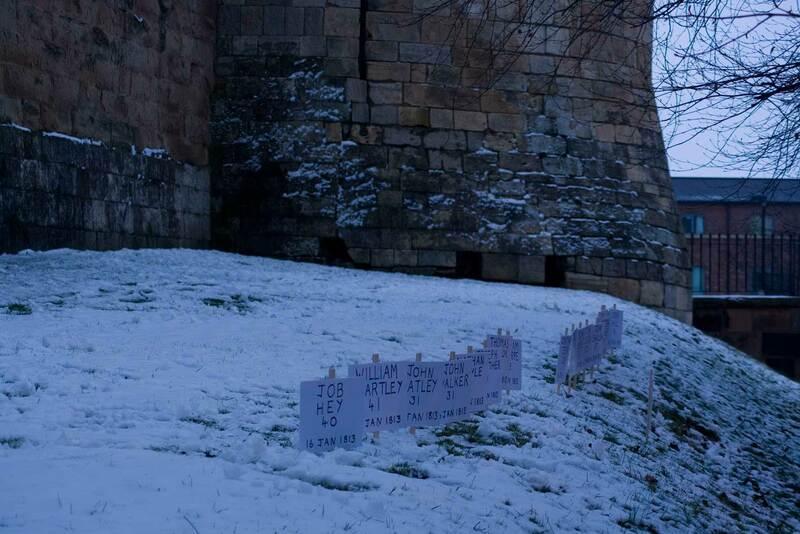 A eulogy and account of the executions was read by YAH member Martin Bashforth, while placards showing the names of the victims of State tyranny were ceremonially planted, by hammer, in the raised platform by which the victims reached the former scaffold. 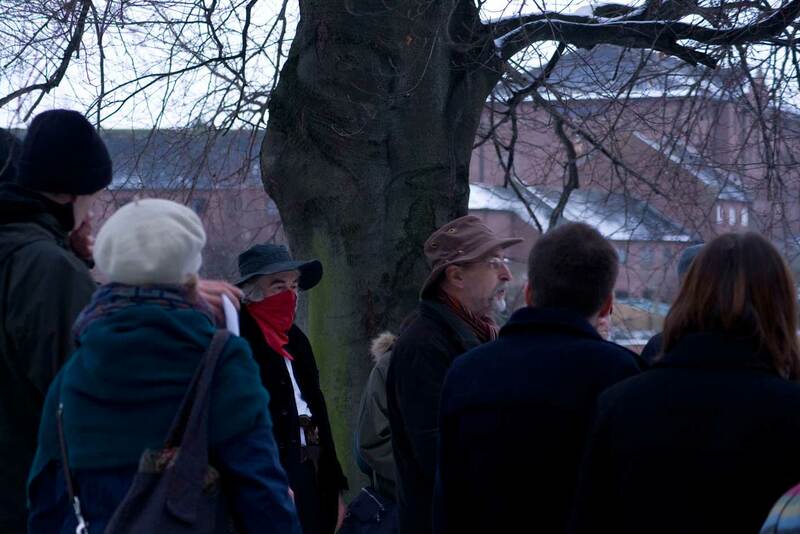 At the end of the ceremony, we raised ‘Three cheers for the Luddites’. 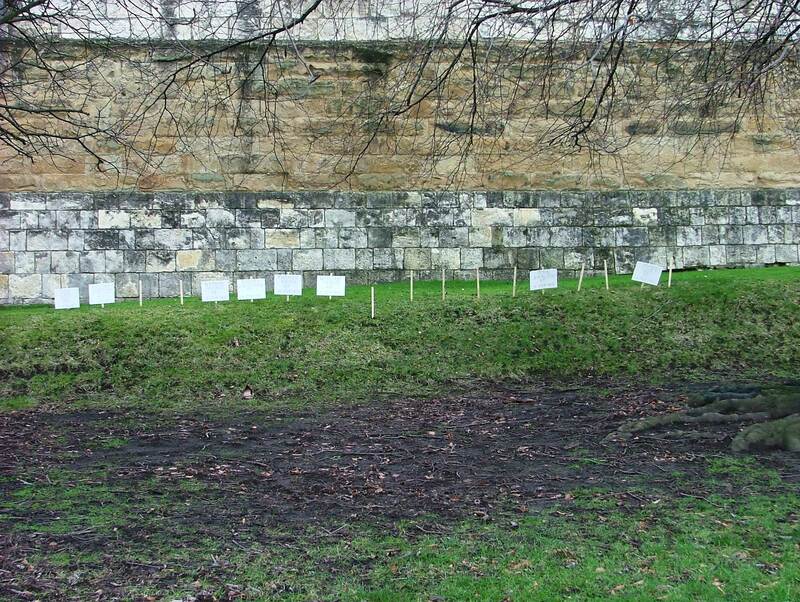 The following photographs were taken by Pat Bashforth, and the last one ten days later by Martin Bashforth to show what happened to the placards over subsequent days. 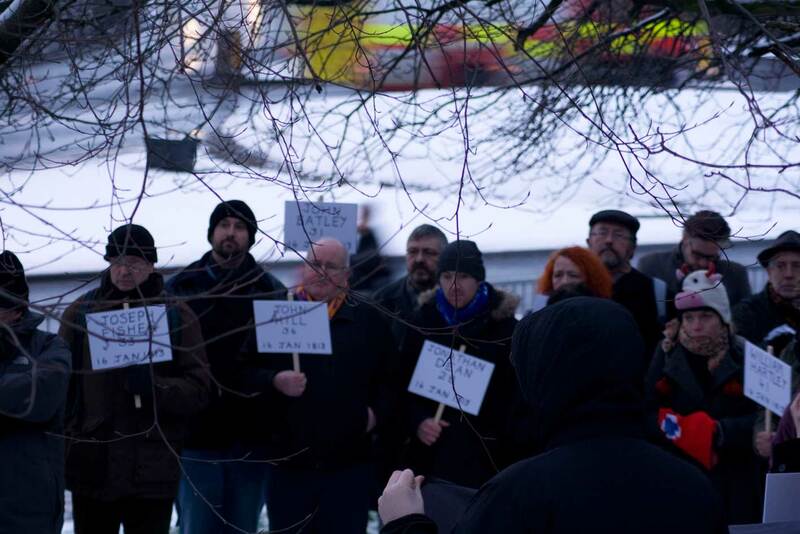 Three cheers for the Luddites!